The UK’s best known saxophonist is back with a spectacular new album, and is joined by UK soul royalty. Album cover for Courtney Pine’s new album, ‘Black Notes from the Deep’. To define Courtney Pine as purely a jazz artist is perhaps a disservice to one of the most pioneering musicians on the British music scene. Pine has been an innovating force in British jazz for over thirty years, combining jazz with soul, funk, hip-hop, drum and bass and more to create a rich and impressive musical legacy. Pine burst onto the British jazz scene in 1986 with the release of his debut solo album Journey to the Urge Within. It was an assured debut, and broke into the UK albums chart peaking at number 39 – an impressive feat for a relatively unknown saxophonist. Since then Pine has built a reputation as one of the finest jazz artists Britain has ever produced, releasing 16 solo albums and performing worldwide. Three decades after his debut, Pine’s reputation as an innovator is assured on his latest release, an album that combines Pine’s rich jazz with a smattering of tasty neo-soul and funk. The wait for the new has been an impatient one: Pine went on tour earlier this year to promote the album, but the release date was pushed back to October. Finally, Pine has released Black Notes From The Deep, and it is certainly worth the wait. Joining Pine on the album is Alex Dankworth on bass, Robert Mitchell on keys and Rod Youngs on drums. Together the four gel superbly, and are aided by the appearance of UK soul icon Omar who provides vocals for four of the album’s songs. Omar, most famous for his nineties hit ‘There’s Nothing Like This’ (on which he sipped cold champagne wine, whatever that is), is an inspired choice of vocalist; the two have a great deal of chemistry, demonstrated by their excellent performances together on stage earlier this year. Omar is an incredible talent, his most recent album’s have been superb, as was his duet with Stevie Wonder – leading the Motown great to say that “when I grow up, I want to be like Omar”. It’s on these tracks that Omar brings his unique neo-soul style. The pairing of these two British musical giants pays off on the album’s first track ‘Rules’, also written by the duo. Omar is in great voice, while Pine leads the band into a frenzy of jazz-funk excellence. Pine’s tenor sax is delicious without overpowering, allowing Omar enough room to sing. The duo are clearly comfortable with one another’s talent; there’s no showboating or one-upmanship here. ‘Darker Than The Blue’ is gritty, with an excellent vocal performance from Omar, breaking into a falsetto at the song’s climax. ‘In Another Time’ is a combination of neo-soul and jazz-funk: driven by a tight groove and some fine organ playing, this is one of the album’s highlights. The final track of the four that Omar appears on is a remake of the Herbie Hancock song ‘Butterfly’. The Pine/Omar version is rather grittier than the Hancock original. Omar is, once again, fantastic. The band are grooving, providing a really funky track while Pine’s subtle injections perfectly compliment the vocal arrangement. When Omar isn’t around to provide the vocals Pine becomes more somber. The pace slows, and Pine seems to become more introspective. ‘The Morning After The Night Before’ is a stunning ballad (featuring a wonderful guitar solo from Chris Cobbson) as is ‘You Know Who You Are’, the latter featuring some great synthesiser playing by Mitchell. Pine gets political on the album too. The song title ‘Rivers of Blood’ references Enoch Powell’s infamous speech in 1968 in which he attacked the wave of immigration from the Empire to the Mother country. Pine’s parents were Jamaican immigrants, and with the resurgence of anti-immigrant sentiments in the wake of Brexit and Trump, Pine channels his thoughts into this number. He swaps sax for flute on his number, beginning low and moody, before building; it’s a another fine composition. Similarly, On ‘A Change is Sure to Come’, Pine takes inspiration from the Sam Cooke civil rights classic ‘A Change is Gonna Come’, invoking the same somber tone that Cooke struck in 1964. Pine’s version builds towards the end, leading you to feel optimistic – but then you realise that a change has been promised to come for decades. A change may come, but no one can be quite sure when. The album ends on the short 1 minute 14 second track ‘A Word to the Wise’, with Porter ending the album on a rather solemn note. 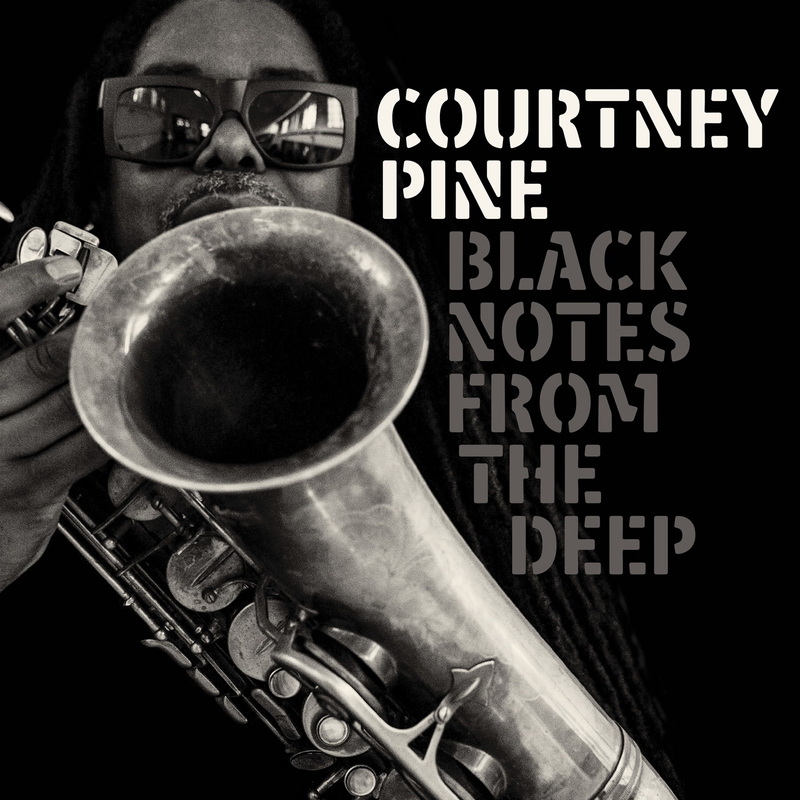 Black Notes from the Deep is another musical triumph from Courtney Pine. The inclusion of Omar was a wise decision – my only criticism is that I’d quite like a full album of Pine/Omar collaborations. Omar’s uniqueness suits the jazz setting well, and it’s clear the two artists have only the deepest respect for each other, making it a joy to hear the two collaborate. The album is fun and poignant in equal measure. Pine has once again proved why he is undoubtedly one of Britain’s most talented musicians.